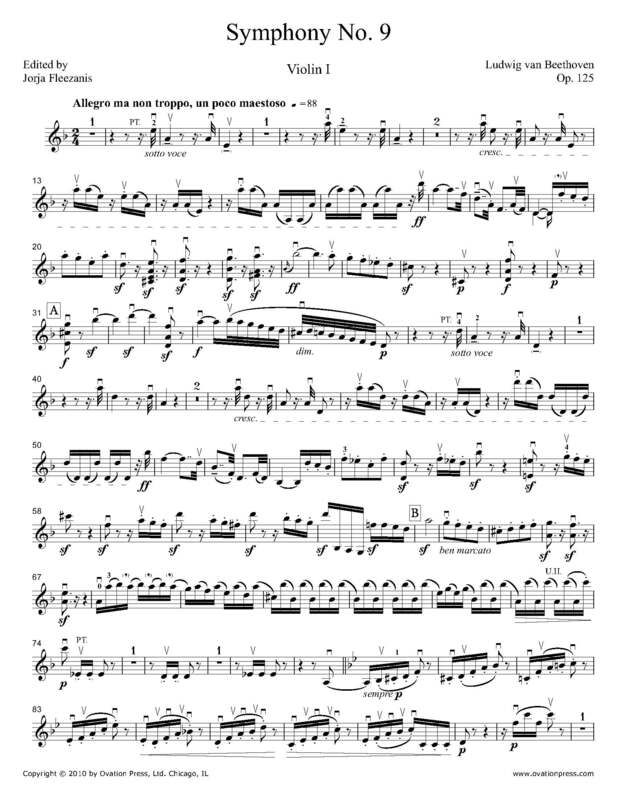 The first violin part for Beethoven's Symphony No. 9 in F Major, Op. 93 – also nicknamed the Choral Symphony – has been edited by Jorja Fleezanis, concertmaster of the Minnesota Orchestra from 1989 to 2009 and (when appointed) the second woman in the U.S. to hold the title of concertmaster in a major orchestra. Fleezanis' bowings, fingerings and other editorial markings have been added throughout the score. Download and print the score today to gain access to expertly edited Beethoven Choral Symphony No. 9 violin fingerings and bowings from Jorja Fleezanis!